Seller's Remorse can have Consequences, Particularly when the Seller Acts in Bad Faith - В сложной финансовой ситуации приходит на помощь кредит наличными в Казахстане. Seller’s Remorse? We all have experienced buyer’s remorse in some fashion, but what about seller’s remorse? Perhaps talked about less than buyer’s remorse, but sellers can have regrets too. This, however, does not mean that a seller’s remorse can go consequence-free, particularly when the seller backs out of a deal or sabotages the deal because of seller’s remorse. For instance, what if a seller of real property signs a deal to sell her property and then realizes she could have gotten some more money for the same property? Can she simply back out of the deal or proactively prevent certain conditions from occurring that are required to consummate the transaction? Is this type of bad faith accepted? 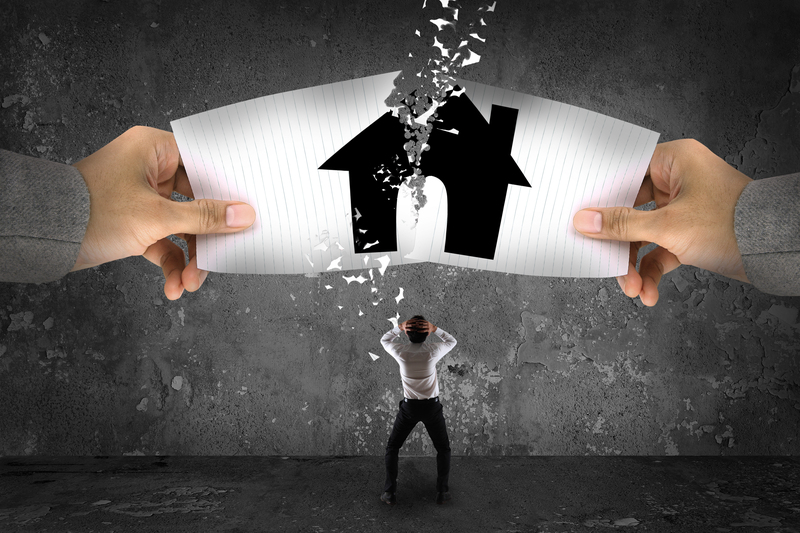 Head v. Sorensen, 42 Fla. L. Weekly D1380 (Fla. 2d DCA 2017) is a case that touches on seller’s remorse in the context of a seller of a condominium unit backing out of a signed deal and undertaking efforts to prevent conditions from occurring required to consummate the transaction. The seller and buyer signed a purchase and sale contract for $405,000 with closing to occur 2 months later. A day or so later, the seller received a call from another owner in the condominium that told her that her sale price was too low and she could have gotten more money. Based on this call, the seller signed a cancellation of contract and sent it to the buyer. The buyer refused to sign the cancellation and indicated his intent to close on the unit. The purchase and sale contract provided that the sale was conditioned on the condominium association’s approval. This is not an uncommon rider to a purchase and sale contract. The buyer filed his application with the association for the requisite approval. However, the seller, because she wanted the deal to die, contacted the association and told them that she did not want to go through with the transaction and there were legal issues that that might prevent closing from taking place (although she never explained what those legal issues were). She also told the association to investigate the buyer’s ability to pay costs associated with the condominium. The association then rejected the contract based on the purported low sales price prompting the buyer to sue claiming, among other counts, breach of contract and specific performance. The seller argued that the condition to closing—the association’s approval—did not occur so the buyer could not close on the unit. The seller also creatively argued that the contract terminated by its own terms because there was a title defect (the association’s lack of approval) that rendered the title to the unit unmarketable and this defect was not cured. The title commitment / defect provision is standard in real estate contracts that allows the buyer to notify the seller prior to closing of any title defects; the seller then has time to cure the title defects. If the seller cannot cure the defects after reasonable diligent effort, the contract terminates. While the contract and closing was conditioned on the association’s approval, the problem was that the seller proactively assisted the association’s rejection of the buyer and deal, or proactively ensured that the condition would not occur. Naturally, the buyer’s title commitment reflected the association’s approval as a closing condition. The seller certainly didn’t go out of her way to ensure the association would approve the sale, which a seller would typically do when they have a buyer in place and a relatively short closing time. Had the seller sold the sale to the association, or not actively hindered the association from approving the buyer and transaction, the association probably would have approved the deal and any title defect would be removed. When there are questions of fact as to whether one party to a contract has acted in bad faith by helping to procure an event that would cause the contract to terminate, summary judgment in favor of that party is improper….Here, such questions do exist. Therefore, Sorensen [seller] was not entitled to summary judgment in her favor on the issue of whether the contract terminated under the condominium rider, and the trial court erred by entering final summary judgment…. To limit the buyer to just the return of his deposit creates an incentive for the seller to dishonor the contract: “This seems to us to come perilously close to arguing that the sellers, after entering into a solemn agreement, could glibly dishonor it and restrict the buyer to regaining what was in practical effect already his, inasmuch as the transaction was not consummated and the sellers were therefore not entitled to the money.”… Creating an incentive for a seller to breach the contract is anathema to the law. Head, supra, (internal citations omitted). Seller’s remorse has consequences, particularly when the seller proactively ensures conditions associated with the deal do not occur.